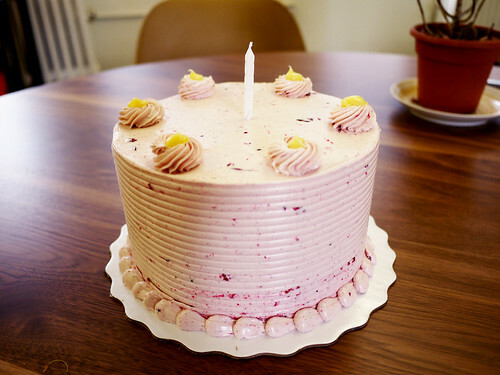 In brief: I've been looking forward to this birthday cake ever since M. and I picked it out last week from the extensive menu at our favorite underrated bakery, Empire Cake. It's wild coincidence that we got a Liz Lemon cake for my birthday, which is also Tina Fey's birthday. What a clever name and funny coincidence-hope it tastes as good as it looks!